Tweet Here’s a shifting exercise I made today for my private studio. Click the image to download the PDF. Tweet Be sure to check out my other blog – EvolvingEducator.com. More help on bowing for young players. Tweet A few post ago I gave some tips for helping young players figure out bowings. Below are some sheets I use. Tweet I bought this Turbo Tune from Bob Gollihur’s store. It’s a great accessory! Save your wrists and change string very quickly. Are YOU ready to conduct graduation? Tweet With my simple arrangement of Pomp & Circumstance, your string orchestra will be ready in no time AND sound great! 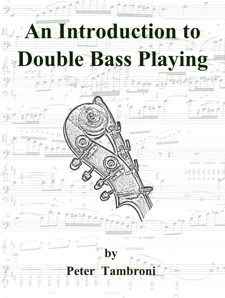 Tweet An arrangement I did of Valse Miniature for bass and strings is now available for $6.